You get so comfortable with your ways of doing business that any change is perceived as a threat. The problem is, we as a society don't have a choice: The law of human nature is to communicate more efficiently. And the economic benefits of high-speed Internet and unlimited cloud storage are so great that we need to plan for the day when the transfer of terabytes of data will be measured in seconds. Businesses and individuals will keep looking for faster connectivity, more robust online storage and more privacy. Transferring large pieces of content over the Internet will become common -- not because global citizens are evil but because economic forces leading to "speed of light" data transfer and storage are so beneficial to societal growth. I wouldn't be who I am if it wasn't for the mind-altering glimpse at the future in Star Wars. I am at the forefront of creating the cool stuff that will allow creative works to thrive in an Internet age. I have the solutions to your problems. I am not your enemy. Providing "freemium" cloud storage to society is not a crime. What will Hollywood do when smartphones and tablets can wirelessly transfer a movie file within milliseconds? The very powerful and the very stupid have one thing in common. Instead of changing their views to fit the facts, they try to change the facts to fit their views. 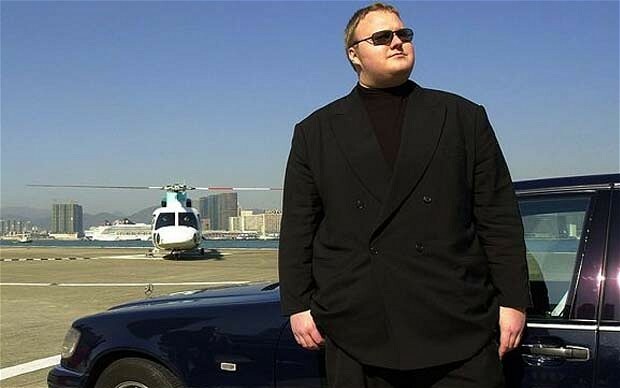 The fact remains that the benefits of Megaupload to society outweigh the burdens. But instead of adapting, you imported one of your action-conspiracy movie scripts into the real world. In my view, MPAA CEO and former Sen. Chris Dodd lobbied his friends in the White House to turn me into a villain who has to be destroyed. Due process? Rule of law? Eliminate me and my innovation and worry about the consequences later. Never mind that millions of Megaupload users lost access to cloud data like their wedding photos. Well done, Hollywood, everyone with similar innovations got the message. But wait … You did not read the end of the script. Regardless of the issues you have with new technologies, you can't just engage armed forces halfway around the world, rip a peaceful man from his family, throw him in jail, terminate his business without a trial, take everything he owns without a hearing, deprive him of a fair chance to defend himself and do all that while your propaganda machine is destroying him in the media. Is that who you want to be? Kim is absolutely right! The people of the Internet will unite. People will prevail in the war for Internet freedom and innovation that have been launched. We'll always find ways to do it anyway.